Price includes 2 parcels sold together .44 acres. Spend your weekends clamming(including geoducks), kayaking, water sports, fishing & enjoying the views. Escape to peace & quiet with access to your own beach, the breathtaking views of Mt. Rainier, the sound of marine life & ever changing stunning sunsets will relax and inspire. 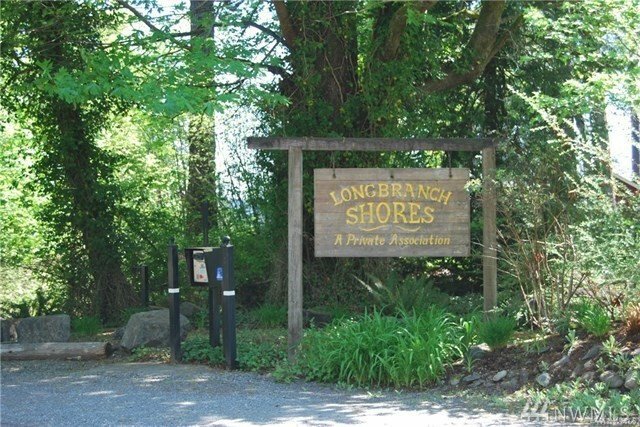 Both parcel have the benefits of Longbranch Shores gated community; Adjoining lot can be accessed from outside community. HOD $21 per parcel, includes water. MLS #1431007 | Listing provided by NWMLS & Hawkins Poe. Disclaimer: The information contained in this listing has not been verified by Hawkins-Poe Real Estate Services and should be verified by the buyer.